Auch weiterhin beeinflusst kein Unternehmen meinen Alltag in einer Art und Weise wie Amazon es tut. Die meisten Unternehmen stehen mit großem Staunen daneben, wenn sie von Amazon angegriffen werden. Andere rennen hinterher und wenige versuchen unternehmerisch mitzuhalten. Letzteres dürfte aber beim Wachstumstempo von Amazon die wohl einzige Möglichkeit sein und auch in diesem Jahr nimmt Jeff Bezos den meisten Unternehmen am Markt die Hoffnung, dass Amazon sein Vorgehen verlangsamt und auf ein „normales“ Maß einschwenkt. Der jährliche Brief an die Shareholder ist in diesem Jahr deutlich wie nie und die wichtigsten Passagen möchte ich hier gerne wiederholen. Das Schreiben fängt mit einem denkwürdigen Statement an. “Jeff, what does Day 2 look like?” That’s a question I just got at our most recent all-hands meeting. I’ve been reminding people that it’s Day 1 for a couple of decades. I work in an Amazon building named Day 1, and when I moved buildings, I took the name with me. I spend time thinking about this topic. “Day 2 is stasis. Followed by irrelevance. Followed by excruciating, painful decline. Followed by death. And that is why it is always Day 1.” To be sure, this kind of decline would happen in extreme slow motion. An established company might harvest Day 2 for decades, but the final result would still come. I’m interested in the question, how do you fend off Day 2? What are the techniques and tactics? How do you keep the vitality of Day 1, even inside a large organization? Such a question can’t have a simple answer. There will be many elements, multiple paths, and many traps. I don’t know the whole answer, but I may know bits of it. Here’s a starter pack of essentials for Day 1 defense: customer obsession, a skeptical view of proxies, the eager adoption of external trends, and high-velocity decision making. Resist Proxies As companies get larger and more complex, there’s a tendency to manage to proxies. This comes in many shapes and sizes, and it’s dangerous, subtle, and very Day 2. A common example is process as proxy. Good process serves you so you can serve customers. But if you’re not watchful, the process can become the thing. This can happen very easily in large organizations. The process becomes the proxy for the result you want. You stop looking at outcomes and just make sure you’re doing the process right. Gulp. It’s not that rare to hear a junior leader defend a bad outcome with something like, “Well, we followed the process.” A more experienced leader will use it as an opportunity to investigate and improve the process. The process is not the thing. It’s always worth asking, do we own the process or does the process own us? In a Day 2 company, you might find it’s the second. Another example: market research and customer surveys can become proxies for customers – something that’s especially dangerous when you’re inventing and designing products. “Fifty-five percent of beta testers report being satisfied with this feature. That is up from 47% in the first survey.” That’s hard to interpret and could unintentionally mislead. Good inventors and designers deeply understand their customer. They spend tremendous energy developing that intuition. They study and understand many anecdotes rather than only the averages you’ll find on surveys. They live with the design. Das klingt alles so selbstverständlich, aber in der Realität folgt kaum ein Unternehmen diesem Weg. Die meisten Strukturen lassen dieses harte Nachfragen gar nicht zu. Unternehmen werden so zunehmend langsam. Danach folgt in dem Letter ein Absatz zu richtigen Einordnung von Trends, aber der hat aus meiner Sicht wenig Substanz. Viel wichtiger wird der vierte Abschnitt, in dem es um die Geschwindigkeit von Entscheidungen geht. High-Velocity Decision Making Day 2 companies make high-quality decisions, but they make high-quality decisions slowly. To keep the energy and dynamism of Day 1, you have to somehow make high-quality, high-velocity decisions. Easy for start-ups and very challenging for large organizations. The senior team at Amazon is determined to keep our decision-making velocity high. Speed matters in business – plus a high-velocity decision making environment is more fun too. We don’t know all the answers, but here are some thoughts. First, never use a one-size-fits-all decision-making process. Many decisions are reversible, two-way doors. Those decisions can use a light-weight process. For those, so what if you’re wrong? I wrote about this in more detail in last year’s letter. 1 For something amusing, try asking, “Alexa, what is sixty factorial?” Second, most decisions should probably be made with somewhere around 70% of the information you wish you had. If you wait for 90%, in most cases, you’re probably being slow. Plus, either way, you need to be good at quickly recognizing and correcting bad decisions. If you’re good at course correcting, being wrong may be less costly than you think, whereas being slow is going to be expensive for sure. Third, use the phrase “disagree and commit.” This phrase will save a lot of time. If you have conviction on a particular direction even though there’s no consensus, it’s helpful to say, “Look, I know we disagree on this but will you gamble with me on it? Disagree and commit?” By the time you’re at this point, no one can know the answer for sure, and you’ll probably get a quick yes. This isn’t one way. If you’re the boss, you should do this too. I disagree and commit all the time. Wie so häufig wirklich inspirierend was von Jeff Bezos kommt. Besonders die Ausführung zum „Prozess“ ist echt ein Volltreffer – meiner Erfahrung nach. Um aber auch mal zu unken: Es wäre toll, wenn Amazon diese Sichtweisen auch wirklich voll inkorporieren würde. Mir fallen schon eine Reihe von Themen ein, wo Amazon das nicht wirklich realisiert – ganz besonders im Bereich Reviews und Zulassung von Steuerbetrugsmodellen und Dropshipping von außerhalb Europa. Das führt in Summe seit 12 – 18 Monaten zu einer deutlichen Trübung des Customer Experience. Naja – aber sonst schon cool, was und wie Amazon mit „Dynamik“ umgeht. Dem Kunde ist die Rechnung doch nur insofern wichtig, als sie so niedrig wie möglich sein soll, mach dir nichts vor. Und dank der sehr kulanten Rückerstattungen durch Amazon im Reklamationsfall hat der Kunde auch nichts zu befürchten. Der Finanzminister kommt in customer (!) obsession halt nicht vor. 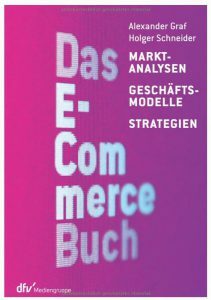 Nächster Beitrag US Retail Learnings: Sind die sterbenden Malls nur der Anfang?